I love French radishes, I think they are so special, and I’m happy to report they are in season right now at our farmer’s markets! 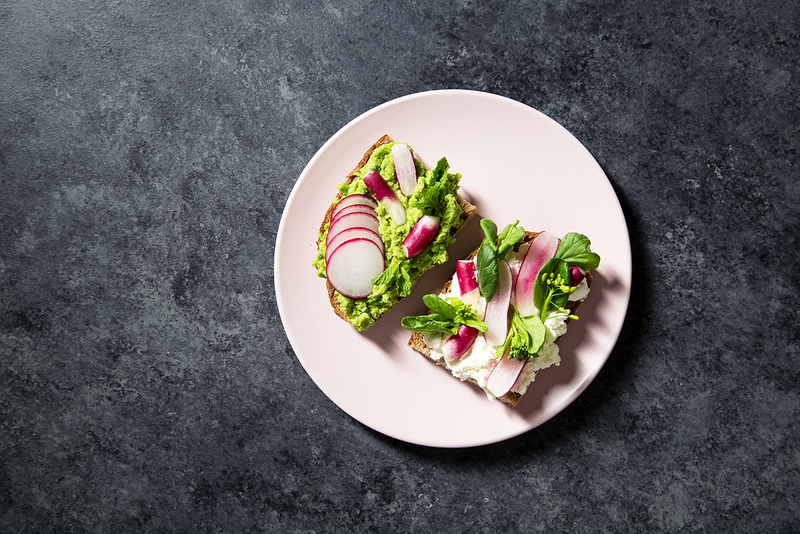 I crunch on them raw, add them to salads, and today I topped these two spring-style toasts with spicy radish slices. Thinly slice the radishes. 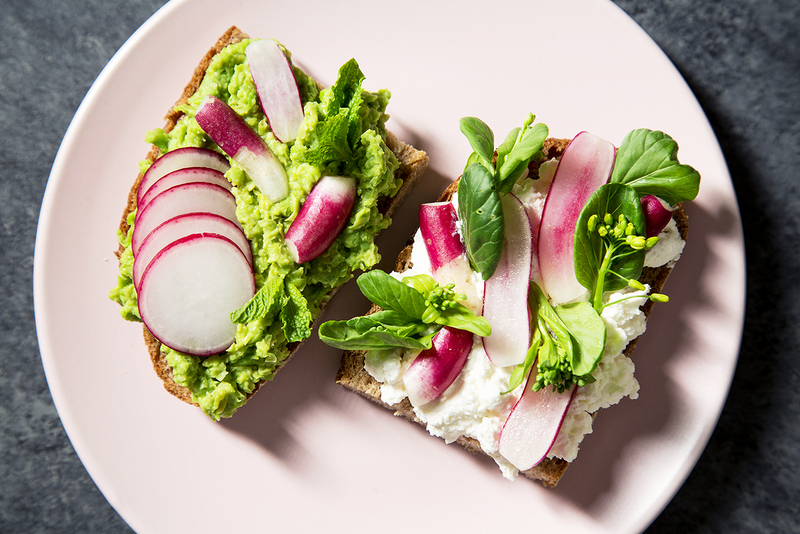 Spread ricotta on the bread and top it with radishes and greens. Sprinkle with lemon juice and salt. Enjoy! Microwave frozen peas for 1 minute, then add them to a food processor with lemon juice, tahini and salt. Combine. Taste and adjust seasoning. 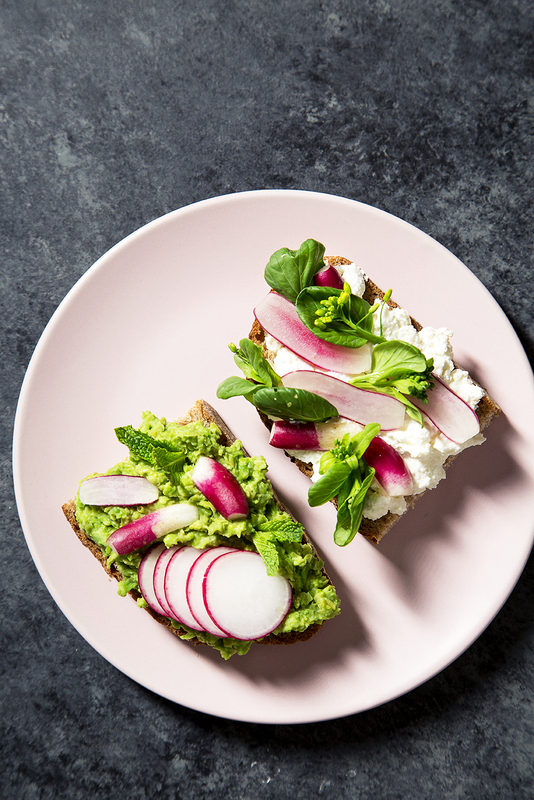 Top bread with mashed peas and radishes, and garnish with mint leaves. Enjoy also!